5 Common Closing Mistakes Are Hurting Your Sales? Did you know that most business owners are losing sales left and right because they are making several common closing and conversion mistakes that are brain dead simple to fix? You would be amazed at the number of business owners and sales professionals who spend countless hours and dollars generating leads only to flush those leads down the drain (along with their time and money) simply because they don't know how to convert and close. Allow me to help you identify (and fix) these common closing mistakes right now! The reason your prospects buy things is in an attempt to solve a problem. But if I've seen this mistake once, I've seen it a thousand times ... Sales people who spend all their time talking about the features of their product when they should be talking about their prospects' problems and desires. Your ability to close really only comes down to one main thing ... your understanding of your prospects' problems, goals and desires. But the only way you can know what those problems and desires are is by asking the right questions. The good news is that the questions are super simple. They're not pushy at all and when you start asking the right ones, your prospects will tell you exactly how to close them. In fact, I've personally been using a simple 5-question formula for years that tells me everything I need to know to close the sale. Once you extract this information from your prospect ... it's game over. And the best thing is that you don't even have to be pushy or hypey to close the sale. All you have to do is position yourself as a consultant who's there to help them solve their problems and your prospect will be pulled toward a buying decision instead of you pushing them into a sale. Because it's the number one reason most people fail to close ... they simply don't ask for the sale early enough or often enough. Never assume that your prospect will suggest the close themselves or that they know what the next step in the process is. Effective closers understand that they have to take the reigns and lead their prospect to a decision. You simply cannot close the sale if you don't ask for it or tell the prospect exactly what to do next. Also, you'll be glad to hear that you don't have to be pushy or hypey at all when asking for the sale. A simple, well placed phrase such as "it sounds like you're ready to get started" will often do the trick. For example, most people take objections at their "face value". This is a huge mistake because prospects rarely tell you the real reason they're not ready to close. In fact, most objections are nothing more than a smokescreen for some other underlying (and unspoken) hurdle. For example, when a prospect says "I don't have the money", that's almost always a false statement. They usually have the money (or at least ... they could easily come up with the money if they wanted to). Most of the time, the money objection just means they don't yet have enough belief that your product or service will provide the value that will justify the spending of their money (that's a very different objection). Good closers are good at handling objections because they know how to flush out the real reason a prospect isn't ready to buy. And guess what ... it's easy to do when you know the formula and when you know the exact questions to ask. The other big mistake with objections is trying to handle them after they come up. The very best way to overcome any objection is to strike it down in the prospect's mind before they ever have a chance to voice it out loud. And once you know how to do this, you will be unstoppable. Let's face it, most of your prospects are procrastinators. Most people would prefer to put difficult decisions off until tomorrow when possible ... and most amateur closers ARE making it incredibly easy for their prospects to wait until tomorrow. But guess what ... tomorrow rarely ever results in a sale. In fact, in most cases tomorrow usually turns into Never. This is why you MUST know how to create urgency in your offers. Of course, there are obvious ways to create urgency like scarcity tactics and price hikes (both of which are very effective), but there are several other methods that are just as effective yet completely unknown and unused by most. How Many Sales Are You Losing Each Month? If you've been making any of the mistakes listed above, I'm certain it's been costing you sales. How many more sales could you be making every month by simply knowing the right questions to ask, implementing a proven conversion formula and eliminating these mistakes from your sales process so you can close more sales today! 5, 10, 20+ extra sales per month? What would that mean to your bottom line? Would it be worth investing in yourself and your sales team if you knew that you could have a proven formula that would drastically increase your sales conversions? I've been using that very formula in my business for years and it works like clockwork. 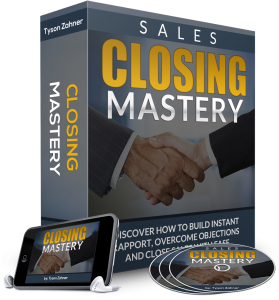 I would love to share that formula with you so you can close more sales and increase your conversions too which is exactly why I've created a home study course called Closing Mastery. Overcome Objections and Close Sales with Ease. How to Instantly Eliminate Your Fear of Sales and Closing. The Real Reasons Why Prospects Say "No" and How to Turn "No's" Into "Yes's"
How Much Extra Money Will You Make? I'm sure you're wondering how much I'm asking for this product, and that's a fair question. Before I tell you ... let me ask you a question. How much extra money could you make over your lifetime from just one of the strategies I mentioned above? How much extra will you make over your career by knowing the right questions to ask and getting your prospects to tell YOU how to close them? How much extra will you make in a lifetime just from knowing how to flush out and overcome your prospects' real objections. 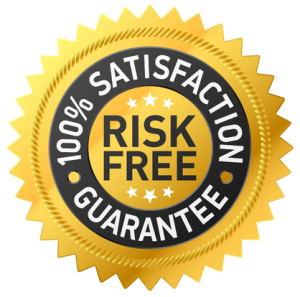 How much extra cash could you pocket by knowing the right way to inject urgency into your offer so your prospects get off the fence and Buy Now? There's no reason you can't extract hundreds of thousands of dollars (or more) over your entire career from this one single investment. For this reason, I could easily ask $2,000 or more for this product ... and it would be worth every penny considering the potential return on investment from just implementing even a few of the strategies inside. So the final price I decided on is just one low payment of $297, but I can't promise it'll stay at that price for long. 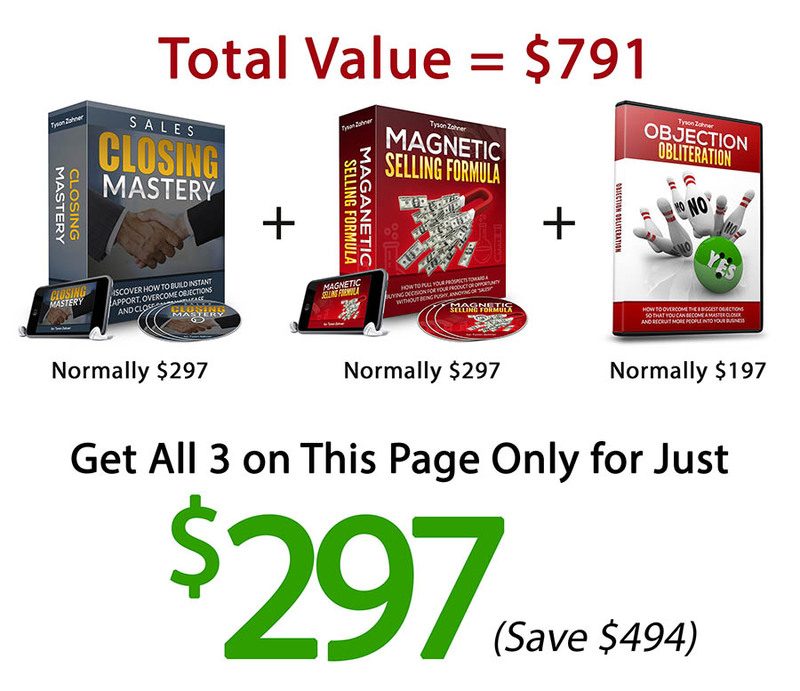 So if you want to close more sales starting today, click the button below to lock in this incredibly low price and get instant access to the Closing Mastery home study course. If you act today, I'll throw in my Magnetic Selling Formula Course at no additional cost (normally sells for $297). This is the exact template that I use for writing online sales copy that converts. 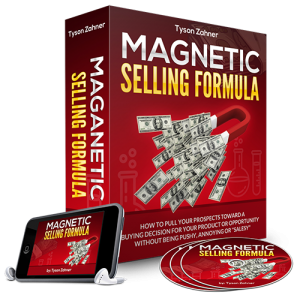 So if you want to create leveraged sales tools like sales letters, webinars and online sales videos that convert prospects into sales on autopilot (yes, even while you're sleeping), then you're going to love the magnetic selling formula. What to Say when a Prospect Says "I Don't Have the Money"
"I Don't Have the Time"
I've Got to Think it Over"
"I Want to Do My Research"
"I Need to Talk to My Spouse"
For Network Marketers, I'll Show you exactly what to say when a Prospect says "Is This a Pyramid?" "I Don't Like Making Money off of People"
I'm 100% confident that this course will pay for itself very quickly once you start implementing it, but I don't want you to take any of the risk. Try the methods that I teach inside of this course for the next 60 days. If you don't believe this product will pay for itself many times over in sales commissions, just contact my customer service before Day 60 and include one presentation that you've created using the formula we teach inside the course and I'll gladly give you every penny back. Go Ahead! Click the Button Below Right Now and Start Making More Sales and More Money Today!